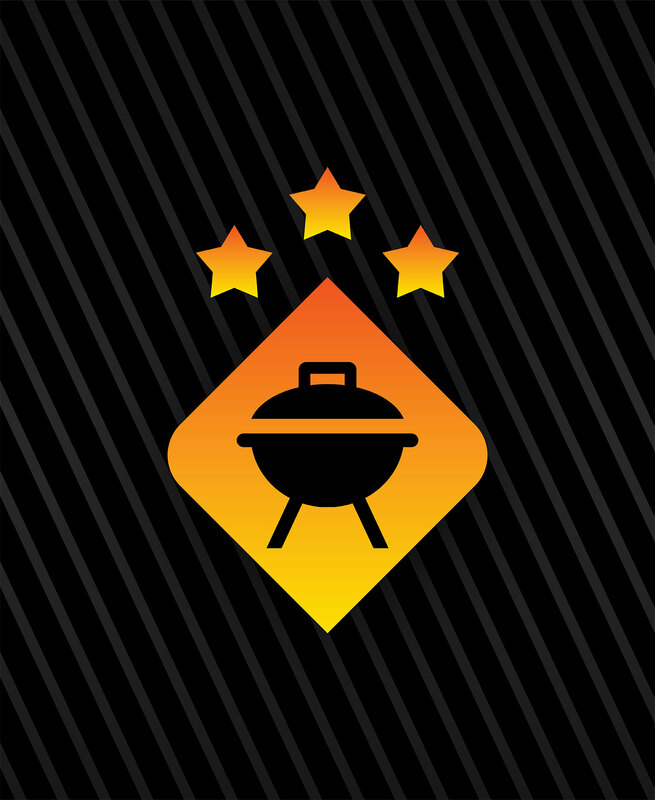 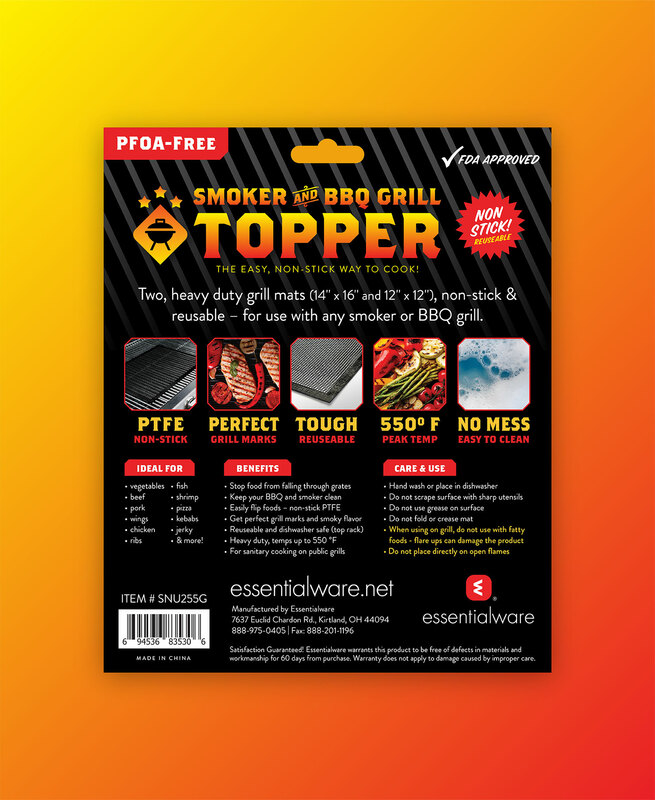 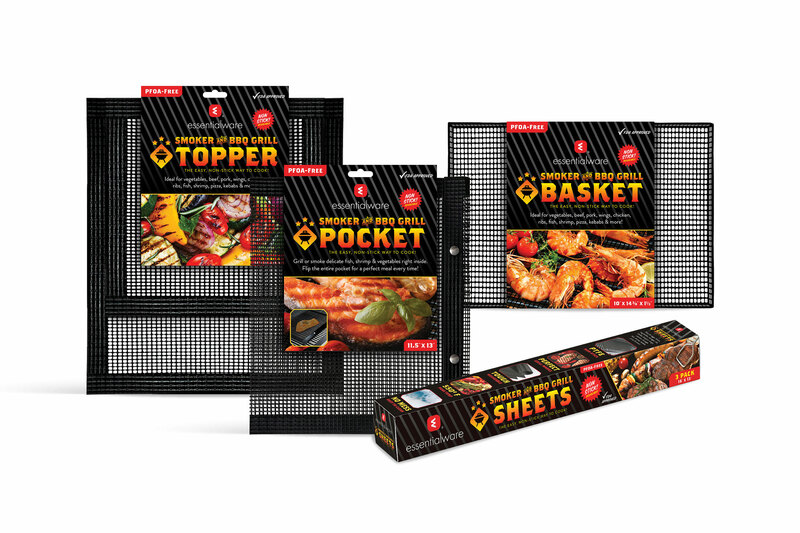 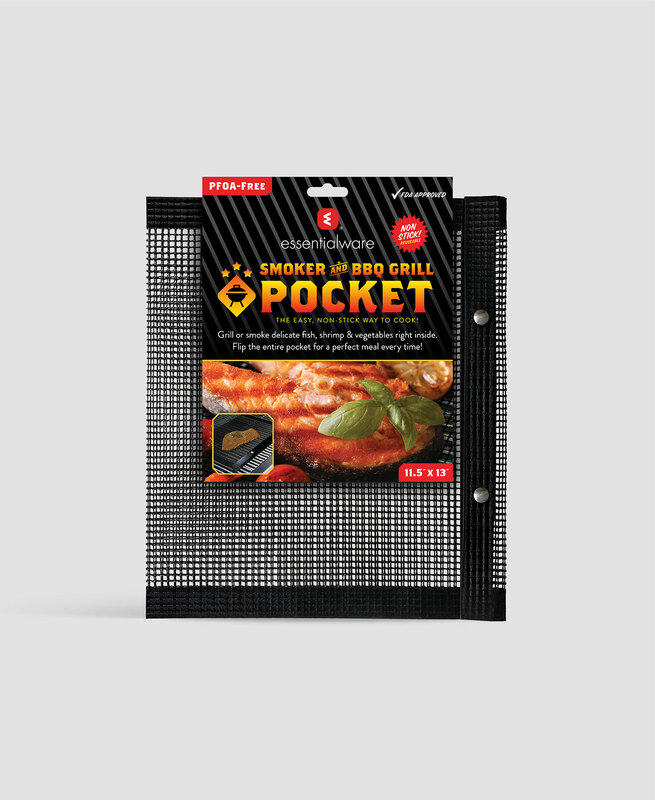 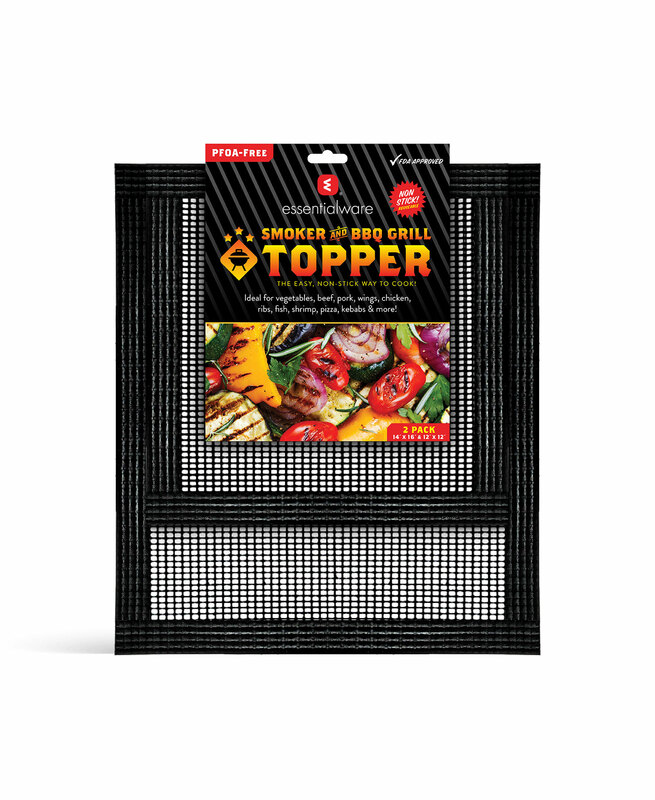 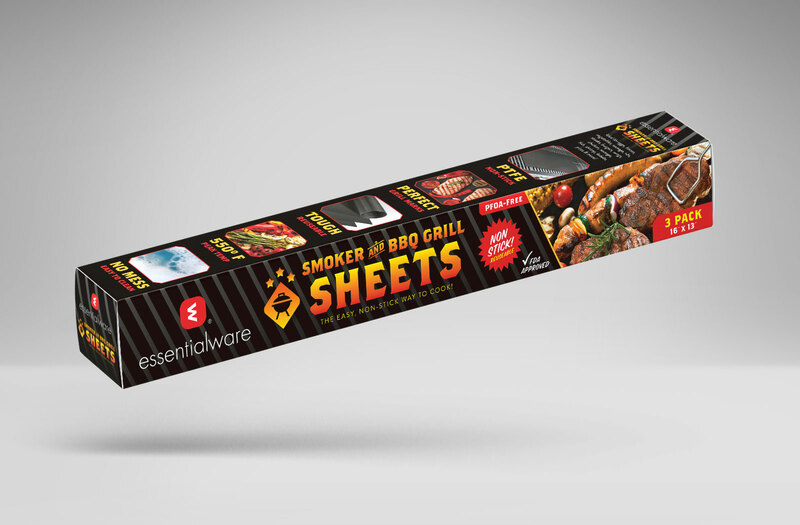 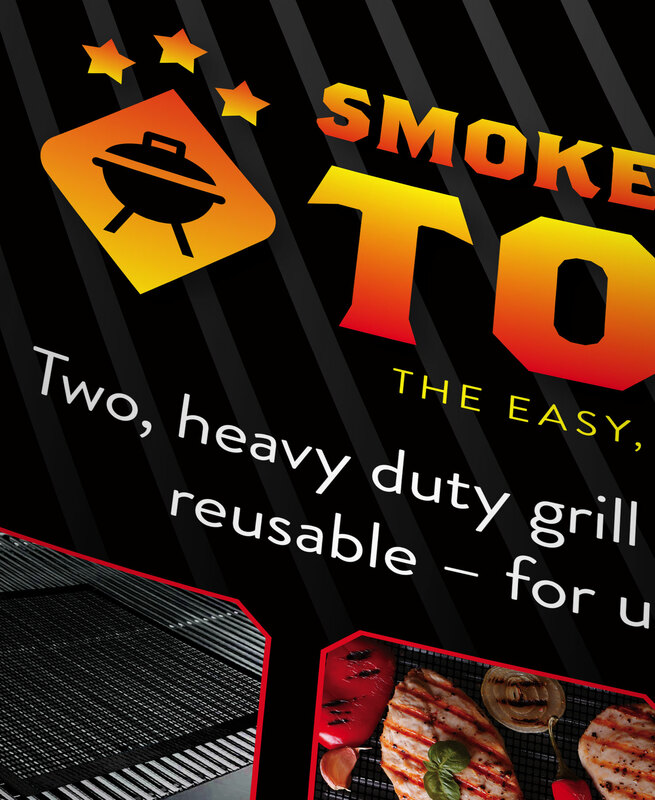 Bold typography, vibrant colors and delectable photography are key to the sub-branded identity system and product packaging we developed for Essentialware’s new retail family of non-stick grill products. 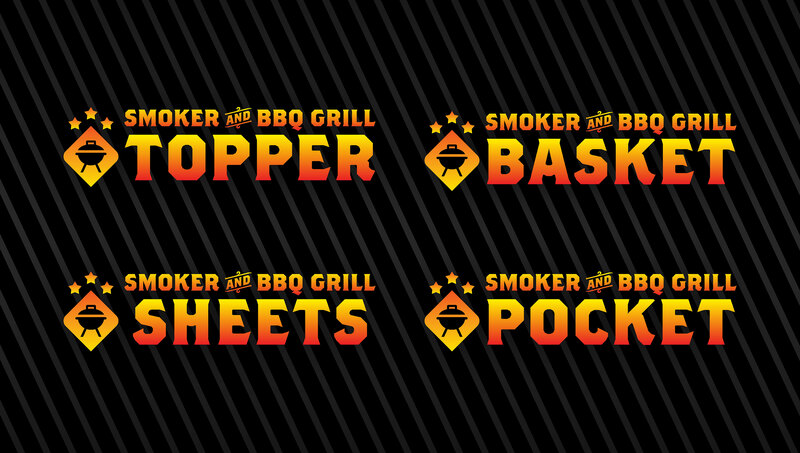 We built the visual identity with a vibrant color palette to capture the spirit of outdoor cooking and, of course, catch the buyer’s attention. 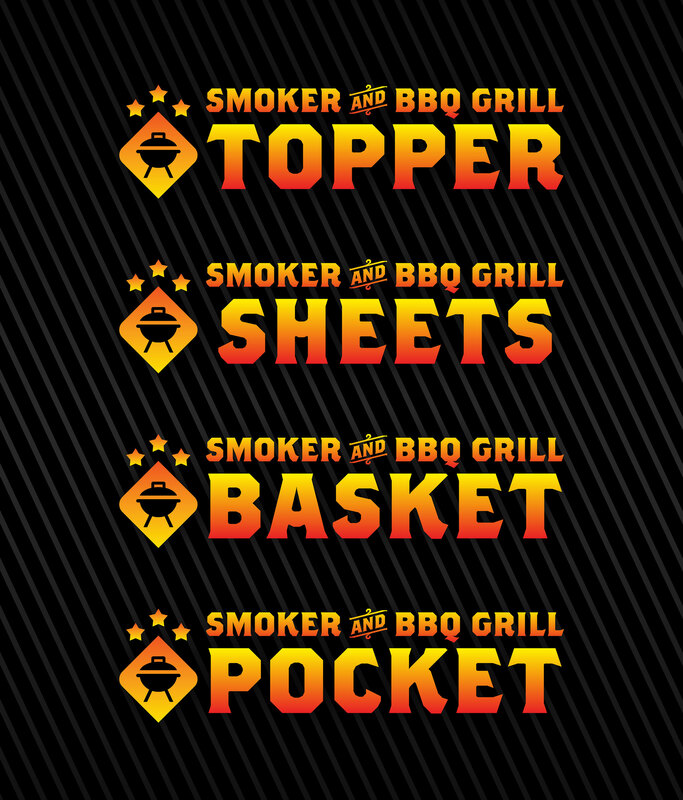 Our goal was to create a unified brand system with instant visual appeal that showcases the convenience of the products and motivates buyers to buy.